Welcome to Tyldesley Horseboxes Lincolnshire. At Tyldesley Horseboxes we are a family owned and family run business and we provide a bespoke service to all our valued customers. 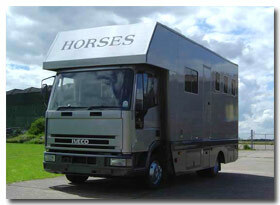 At Tyldesley we pride ourselves on producing a top quality horsebox at an affordable price. We are a horse owning family and our customers benefit from our great many years experience of owning and competing our own horses and ponies. We know what we and our horses need in a horsebox and we fully understand the requests our customers make and why they make them. Whether you want a Tyldesley Horsebox for showing, eventing, dressage or for general purpose riding, we can accommodate your needs and adapt to your preferences. Modification, repair and upgrades can be carried out to your vehicle. We also offer a service for DIY builders/converters where we part build horseboxes for you to complete, this has proved very popular. .
We have been building quality horseboxes from the chassis up for seven years now. 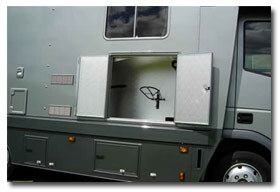 All our horseboxes are fitted with cut through tipping cabs for engine maintenance and repairs. From the ground up, to the last detail in the refined living areas; from the carefully crafted through cab, to the full length padded and powder coated partitions in the horse area. 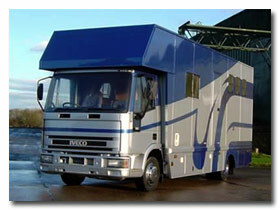 Tyldesley Horseboxes are vehicles their owners can be proud of. Fully serviced Iveco 75E15 chassis. Steel frame, aluminium clad, all fully insulated. Through cab with tilt for engine maintenance. Easy lift power assisted ramp fitted as standard. Padded and powder coated partitions in horse area. Living to sleep 3-4, fitted with oak floor and matching units. 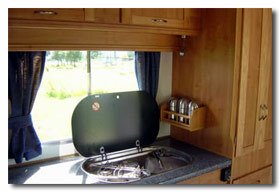 Fridge, oven, hot water, room heater, wardrobe and more. Built into our vehicles are a number of features not often found in many others, that make using and maintaining it easier, cheaper and safer. So you, the owner and rider, have the best chance of arriving at your show, competition or event, relaxed and ahead of your competitors. 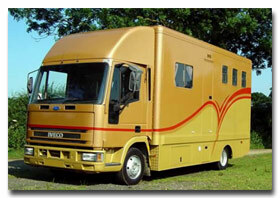 Hi, I’m Simon and I own and run Tyldesley Horseboxes. Contact me and I’ll make sure you get the standard of service I know you deserve. I’m proud of the horseboxes my company produces and I’ll stand by them any day of the week and twice on Sundays. 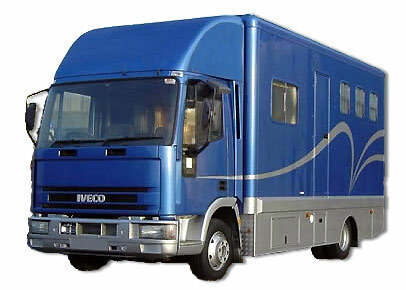 If you’re looking for a vehicle that will last and that will be fit for your purpose, talk to Tyldesley Horseboxes. In addition isotretinoin us fda having a normal or nearnormal weight can reduce..